Building better bike paths are part of the answer to encourage more people to ride to work, ride for exercise, or ride for leisure activities. However, it’s not just adding better quality bike paths that will encourage more people to ride to work. 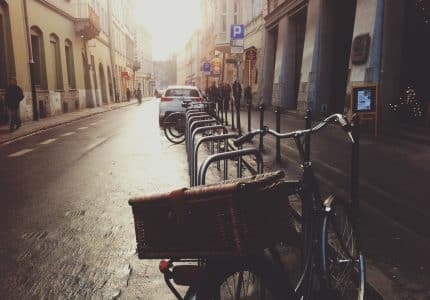 It’s also about other things, including elements as simple as good showers or bike facilities at the place of work, or more areas to lock bikes up safely around the streets. Significant improvements to roads and bike paths around the City of Melbourne have been increasing in recent years. The Labor Government will establish a $100 million Safer Cyclists and Pedestrians Fund to invest in new, dedicated paths and routes across Victoria, ensuring the safety of bikes and walkers by keeping them away from traffic. Labor’s plans to assist with the ongoing safety and sense of community among cyclists extends to the fact they will be establishing a new division within the Department of Transport called Active Transport Victoria. The Fund will focus not only on establishing new, dedicated paths and routes for bikers and walkers, but also on improving routes to train stations and the CBD, creating new routes in regional areas, and adding pedestrian crossings, signs, and markings. 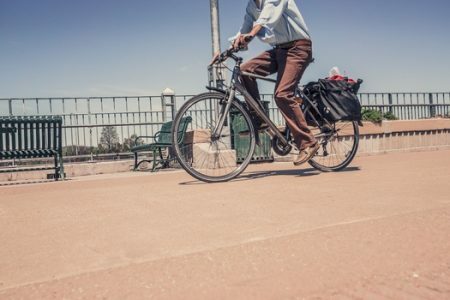 The new Transport Department division, Active Transport Victoria, will focus on increased participation and safety among cyclists and pedestrians across Melbourne and regional Victorian cities. The Division will develop policies, suggest changes to existing roads and paths, and advise on new routes and networks. It will receive $3.3 million in funding over the next 3 years. It’s not just metropolitan Melbourne that will receive funding, Labor haven’t forgotten about regional Victoria, who will reap the benefits of added funds for both the Grampians Peak Trail and the Wandong to Bendigo Rail Trail. With cyclists 34 times more likely to be injured on the roads than drivers to be injured on the roads and 4.5 times more likely to die in an accident. These statistics enforce the fact that it is paramount we take great care of our cyclists on the road. The benefits of added and improved cycling routes are far more extensive than just for health purposes of the route users. Decreasing traffic congestion, fuel emissions, and petrol costs are added benefits of cycling. Furthermore, research has found there are significant benefits of adding a moderate amount of exercise into your daily routine including increasing feeling of happiness and positivity. With the majority of work expected to be complete in 2016, there are already considerable updates on this 10km bike path. The development will see a 10km walking and cycling connection, including a combination of off-road shared use path for cyclists and pedestrians, as well as on-road bike facilities. The overall bike path is being completed in sections and is being led by VicRoads with contributions from major stakeholders including Whitehorse and Maroondah City Councils as well as local cycling groups and the community. The benefits of this path include ensuring a safer environment for cyclists by separating bicycles from cars where applicable, providing better connectivity between local community and business activity districts, offering a low-cost option for commuters, school children, families, walkers, and cyclists, providing recreational opportunities for walkers and cyclists. Proving it is a variety of suburbs that are benefiting from increased funds from the Labor Government into cycling and walking paths, Brunswick in Melbourne’s inner North will see $1.6 million in works to improve the safety of cyclists and other road users on Sydney Rd. With the need for these urgent improvements recognised, the works (which were due to commence in August) commenced in April, and are due for completion by late 2015. The above examples show that bicyclist needs are becoming increasingly recognised and addressed, which is an exciting development for all road-users. Looking to test out some of Melbourne’s newest bike routes? Bikes Online from Lekker Bikes via our store. We have a huge range of styles, colours, and prices, so you are sure to find the bike perfectly suited to you.